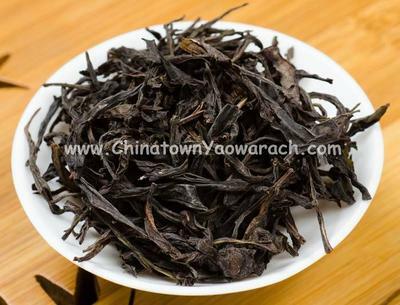 Fenghuang Dancong Tea(Honey Orchid). cord is strong, thick, straight and evenly shaped. The leaves are a dark brown color resembles eel’s skin. The natural honey orchid scent lingers and the tea is in a bright golden color that looks like tea oil. It has a rich flavor and a strong mellow after taste.